Today, Dan Panoz, Founder and CEO of Panoz Auto Development, came to his first visit at the LM HQ. Dan and his company are unique in the auto industry for their small scale coupled with their relentless adherance to federal crash requirements. They have proven that it is indeed possible to be small and to produce a product that competes feature-for-feature with any OEM vehicle. Earlier this year, Panoz and Local Motors formed an agreement whereby Panoz has agreed to assist Local Motors in it vehicle development, especially in the areas of safety. This visit is one of the many recent meetings that this team has used to discuss the plan, the products and the advice from Panoz. We are proud to have a team of Panoz' caliber at our side in this endeavor and look forward to the development of the Local Motors first prototype with the help of Panoz. i just have something to say: OMG!!!!!!! 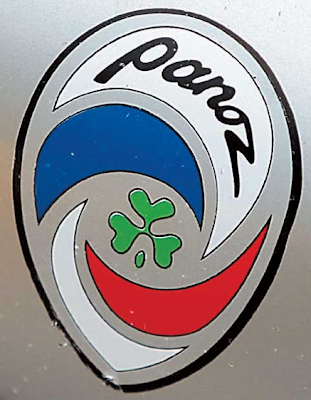 Wow Panoz is a very succesfull company! and they make pretty fast cars, probably they need some of styling but i recon that those cars are very nice!. So this colaboration between LM and Panoz is something very cool!